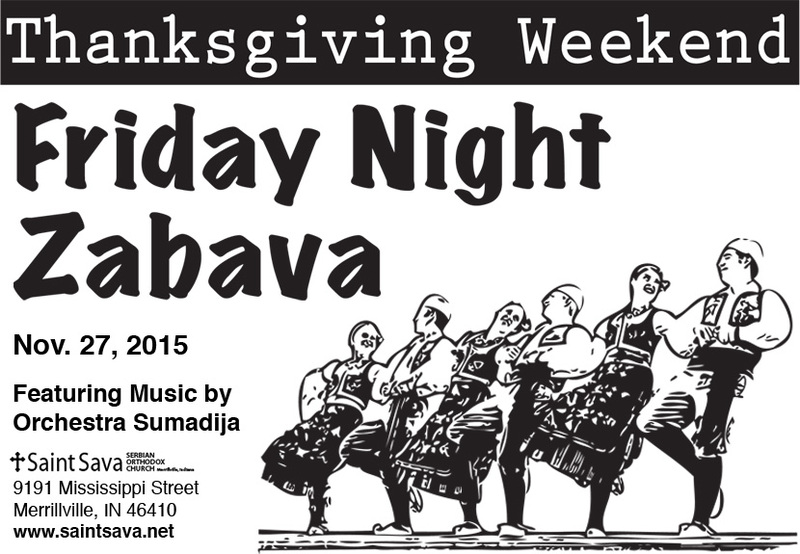 St. Sava Serbian Orthodox Church will host a Friday Night Zabava Thanksgiving weekend, November 27 in the Pavilion at St. Sava, 9191 Mississippi Street, Merrillville, IN 46410. 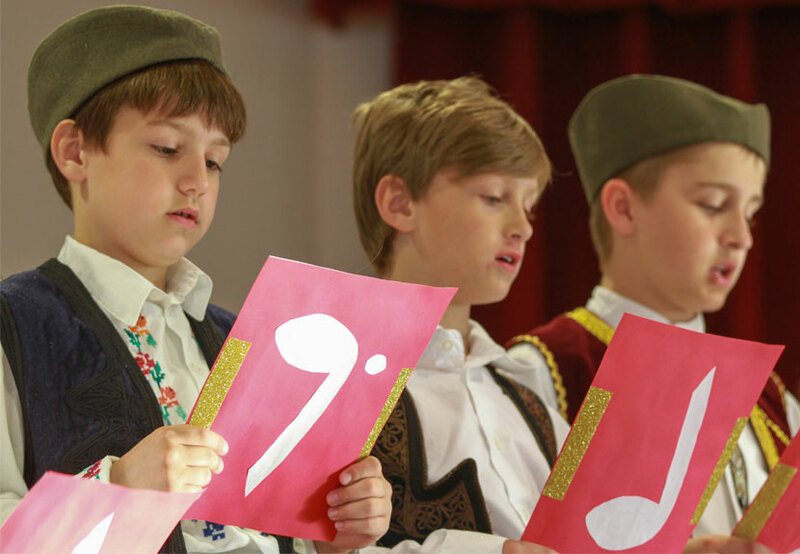 The festivities will begin at 6:00 p.m. featuring music by Orchestra Sumadija. This is a special opportunity for Serbs throughout Northwest Indiana and the Chicagoland area to come together for a classic Zabava experience to celebrate a shared culture and friendships. Doors open at 6:00 p.m., dinners and a cash bar will be available. There will probably be more kolo dancing this coming Thanksgiving Holiday Weekend in Merrillville than anywhere else in Northwest Indiana or Chicagoland. Make the most of your entire Thanksgiving holiday by celebrating with friends and family at a Zabava both Thursday and Friday nights in Merrillville, IN for back-to-back nights of fun and friendship. Thanksgiving Day, Thursday, November 26 the St. Elijah Folklore Group is hosting a Zabava at St. Elijah Serbian American Hall, 8700 Taft Street, Merrillville, IN beginning at 6:00 p.m.
Don’t miss either of these opportunities at St. Elijah Thursday night and St. Sava Friday night to see friends and get your fill of kolo dancing with some of the best live music in the region.